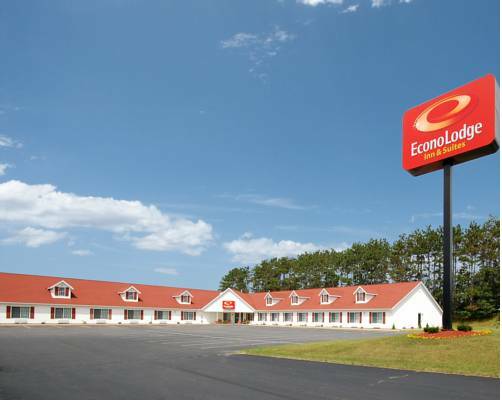 Enjoy an easy stop on the road at the award-winning Econo Lodge Inn and Suites hotel in Eau Claire, WI. A recipient of the Choice Gold Hospitality Award, our 100 percent smoke-free and pet-friendly hotel is near Florian Gardens Conference Center, Chaos Water Park and Univ. of WI-Eau Claire. Amenities include free WiFi, free ample parking, free Easy Starts continental breakfast, copy and fax services. Guest rooms feature a coffee maker, hair dryer and 40-inch TV. Also, earn rewards including free nights and gift cards with our Choice Privileges Rewards program. Dogs only--limit of 2 50-lb. dogs/room, USD15/dog/night, designated rooms only, confirm availability of p/f room prior to arrival. CC required at check-in. - Eau Claire Municipal Arpt. Discovered in 1881 by farm kids, made into a commercial cave in 1942. Features limestone formations on two levels -- it's the longest cave in Wisconsin. One hour tour. ~39 miles from Eau Claire. ~65 miles from Eau Claire.